Myers Cocktail or IV Myers Cocktail is a very popular IV Vitamin cocktail due to the fact that it contains vitamin b1, b2, b3, b5, b6, b12, magnesium, phosphate, calcium, and vitamin c.
Laserklinic Medical Spa offers the best quality Myers Cocktail available with the highest blend of vitamins in our office and throughout the NYC area via house calls. Myers cocktail has been used to treat a variety of conditions including chronic fatigue syndrome, upper respiratory infections, weight loss, migraine headaches, fibromyalgia, depression, asthma, muscle spasms, chronic sinusitis, acute infections, seasonal allergies, allergic rhinitis, headaches, stress, insomnia, and more. Many patients choose to receive a Myers IV drip for a pick me up, as a source of HYDRATION , as a HANGOVER CURE or to BOOST ENERGY and the immune system. Why Our Myers Cocktail Is The Best? Our full medical practice is overseen by physicians and IV certified nursing staff who monitor every aspect of the IV clinic practice. We follow strict compounding pharmacy regulations, sterile safe keeping of the vitamins, proper mixing protocols and safe administration techniques. You can be sure that you will receive the best quality and care possible in a luxurious and relaxing environment. How Is The Myers Administered? 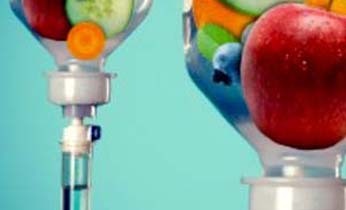 Similar to vitamin infusion or intravenous therapy, a specific formulation of vitamins that contains b-complex vitamins, vitamin c, calcium, magnesium, phosphate and more is given by IV and absorbed directly in the body. There are no specific side effects to receiving a Myers cocktail. As with any medication or procedure there are risks such as allergic reaction, bruising at the IV site, redness, bleeding, or infection. How Long Does It Take To Receive A Myers Cocktail? It generally takes about half an hour to receive the IV vitamin drip. We have a clean and relaxing environment where you can watch a movie while you receive your IV Myers Therapy. 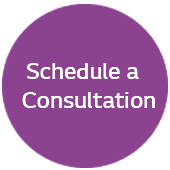 Contact us now to schedule your IV Myers Cocktail.